You can’t talk food and nutrition without also discussing sustainability, as our food systems are inextricably linked with humans and planetary health. One of the most compelling aspects of the Mediterranean diet, aside from its many health benefits, is its roots in sustainability. Mediterranean diet staples are low on the food chain and not resource intensive and preservation techniques like curing and sun-drying are common. Bringing sustainability to our Mediterranean Diet Month table, Oldways chatted with Food Tank's Danielle Nierenberg about the overlap of the Mediterranean diet and sustainability. You can’t talk food and nutrition without also discussing sustainability, as our food systems are inextricably linked with humans and planetary health. And even though the 2015 Dietary Guidelines threw sustainability under the bus, when Oldways gathered some of the world’s top nutrition scientists to ﬁnd common ground on what comprises the best diet, the experts included sustainability as the second point in the 11-point consensus statement. One of the most compelling aspects of the Mediterranean diet, aside from its many health beneﬁts, is its roots in sustainability. Mediterranean diet staples are low on the food chain and not resource intensive — think whole grains, pulses, fruits, and veggies that grow happily in that climate — and preservation techniques like curing and sun-drying are common. Like traditional diets around the world, a Med diet (circa the 1950s) reﬂects the foods that have been cultivated over generations, foods that create a culinary identity, and foods that support the diverse communities spanning the region. In honor of Mediterranean Diet Month, we asked Dani to bring her expertise to the conversation and speak to the overlap of the Mediterranean diet and sustainability. Check out her Q&A below. You can also watch her TEDx Talk (mentioned above) at the bottom of the page. Oldways: The concept of sustainable diets rests on the understanding of how what we eat aﬀects our natural resources. Can you explain how diﬀerent food choices impact planetary health? 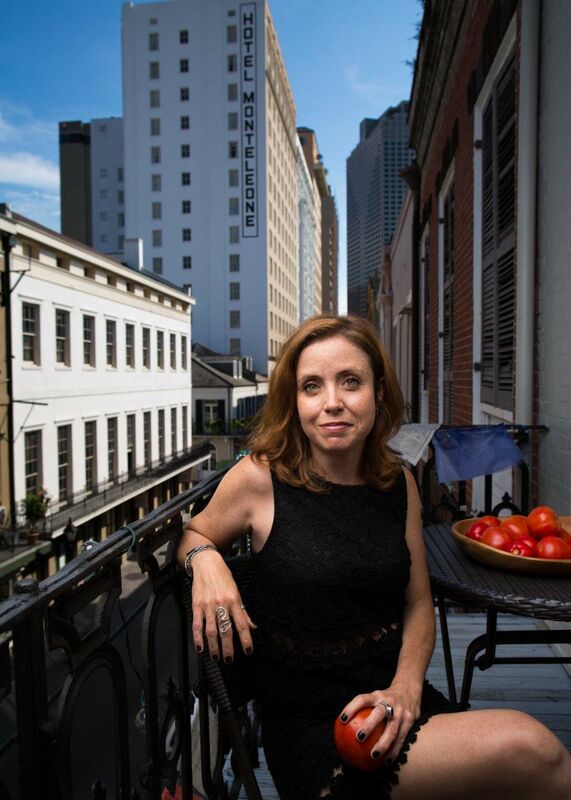 Danielle Nierenberg: Food Tank has been working closely with the Barilla Center for Food & Nutrition Foundation and they have developed the Double Pyramid*, which highlights how the foods that tend to be the worst for our health — including industrial livestock products — also tend to have the highest environmental impacts. It makes sense that the foods that harm human health are also the foods that negatively impact the planet. Unfortunately, many people around the globe don’t have the option of making healthy and sustainable “choices” around food because of lack of access and aﬀordability and sustainable diets will only be possible when all eaters can aﬀord nutritious, safe and healthy food. 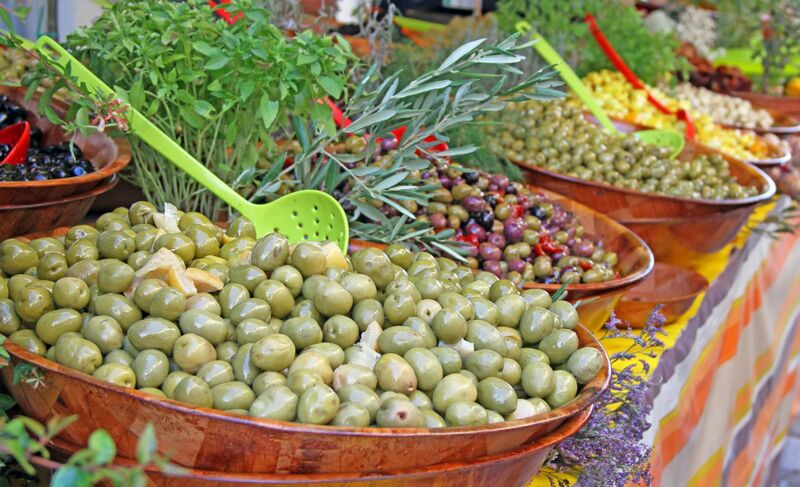 OW: Given that human and planetary health are closely intertwined, in what ways does the traditional Mediterranean diet encourage sustainability? DN: The Mediterranean Diet can encourage sustainability because it highlights how meat — as well as cheese and eggs — don’t have to be the center of meals, but can be used as condiments for both taste and nutrition. Typically, the Mediterranean Diet focuses on plant-based foods like whole grains, legumes and pulses, nuts, healthy oils which are combined with small amounts of ﬁsh or meat. 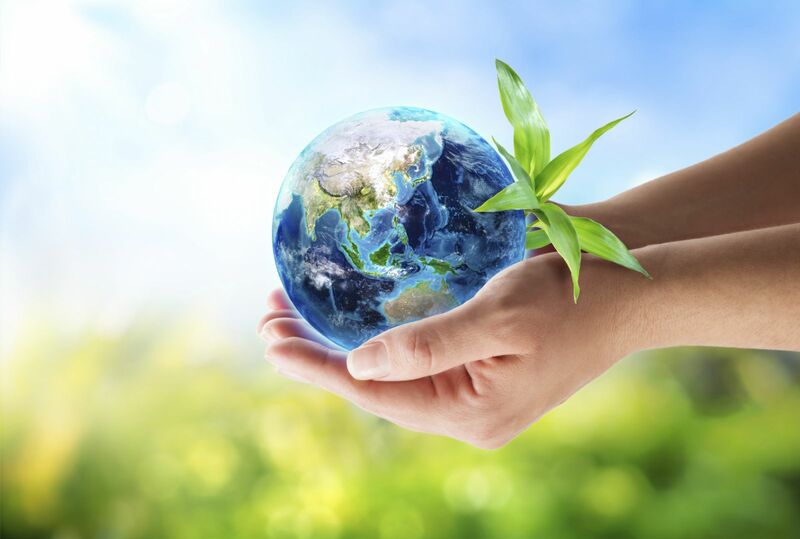 Eating lower on the food chain can not only nourish people, but also the planet. 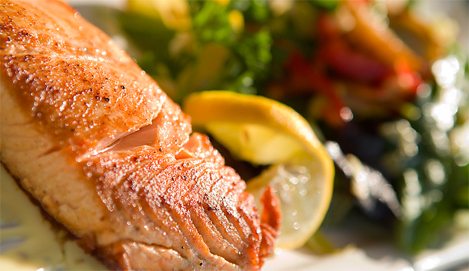 DN: There are so many great resources for eating better ﬁsh. The Monterey Bay Aquarium has long been a leader in helping eaters understand which ﬁsh are the best to eat for the environment. Their Seafood Watch website is an amazing and easy-to-use resource to help chefs and eaters ﬁgure out which ﬁsh is the most sustainable. OW: Most people view the Western diet and our current, industrialized food system as somewhat unsustainable in the long run. In what ways, if any, is it actually easier to embrace sustainable diets today than it was generations ago? In what ways is it harder? DN: Consumer have so many more choices of foods available today than they did even 10 or 20 years ago. Unfortunately, many of these products are highly processed and high in salt and fat. They also lack nutrients so we’re ﬁlling people up rather than nourishing them. 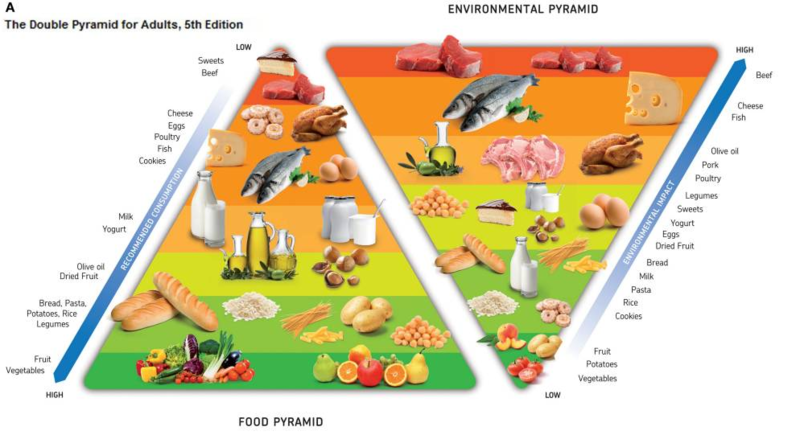 *The food pyramid component of the Double Pyramid referenced Oldways’ Mediterranean Diet Pyramid model. Learn more here.